Japanese food has been interesting to me ever since I first ate a real teriyaki steak in 1981 and tasted sushi for the first time in 1984. My understanding of the cuisine grows all the time. I don’t define my style as Japanese, but I do draw influence from philosophies that drive traditional foods, especially those surrounding the multicourse Japanese meal the Kaiseki. One of the key components of elevated Japanese cooking is the understanding of Shun. The concept of Shun is based on seasonality and the quality of the natural state of ingredients at specific points in their usefulness as menu components. It can be defined as: a particular time of year when vegetables are best in terms of flavor and nutritional value. This is a little more complicated than knowing that spring is time for asparagus. Shun requires that you look at the lifespan of the seasonality of the ingredient. We have all heard many times that ingredients are in the peak of season. Remember that a crop, if all planted at the same time, should peak collectively within a relatively short period of time. This point of time is called Shun, and for some items it could be no more than a couple of days! This is a small window of opportunity for most consumers, as we have to deal with logistics of harvest, processing, packaging, refrigeration, transportation and extended storage. So, when we are processing cases of asparagus in May that may have been picked in April, we are not experiencing the concept of Shun. Most commercial produce is harvested before its peak so that it arrives across the country when the space on the storeroom shelf is available. Commercial producers plant in stages, but how do we know when it was planted or at its Shun? We can only experience true Shun when we are harvesting fruit and produce from our backyard farm or herb garden. Before harvest even takes place, it requires the constant vigilance of inspecting and tasting the ingredient throughout its life cycle. Coming into season from early shoots and green fruit as an item grows toward its peak. One can savor, one last time, the flavors that will not be tasted for another year or crops harvested at the tail end of a season. The concept that ingredients change even within their season drives the approach to them and how to work them into your menu. For each ingredient you are challenged with, you need to not only refer to the general seasonality of products but at what stage you are getting them. Ingredients in Hashiri are young, tender, sometimes sweet, lacking color and sometimes bitter. Ingredients in Shun are at a presumed peak of sweetness, texture, color and nutritional value. Ingredients in Nagori tend to be starchier, woodier, darker in color and affected by climate conditions. 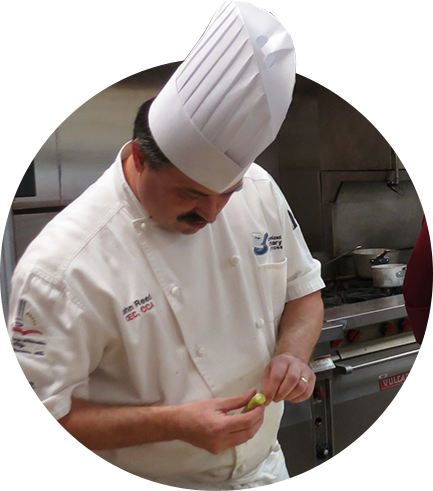 How do you handle each stage of an ingredient’s maturation? Shun: It is relatively simple-not much. Let the ingredients do the talking and complement the flavors, don’t mask. Pair with other Shun ingredients to celebrate the season. Hashiri: use the ingredients as a complement or contrast to another item in Shun, e.g., young bitter greens with perfectly ripe tomatoes. Nagori: items are packed with compounds and flavors that are best for preservation, concentration and development of umami. They can be cooked aggressively and with other strong flavors and used to create impact versus subtlety. I recently served a char-roasted carrot soup made from caramelized onions and roasted chicken stock. We roasted big late-season cellared carrots to create umami associated with the maillard reaction and concentrate any sugars that may have been left. To cut the sweet richness, we garnished with an astringent honey, cracked coriander seeds and lemon zest as acidic and bitter elements for balance. I chose to pair this with Duvel from Duvel Morgaart Brewery. This 8.4% strong Belgian Ale has enough brightness, floral notes and acidity to cut through the rich soup and also provided an addition of effervescence indicative of the brew. I like it out of the larger format. 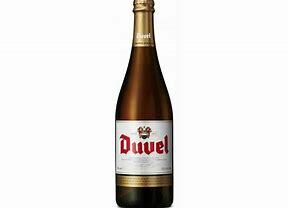 PS: Duvel also owns Boulevard, Ommegang and Firestone Walker breweries.